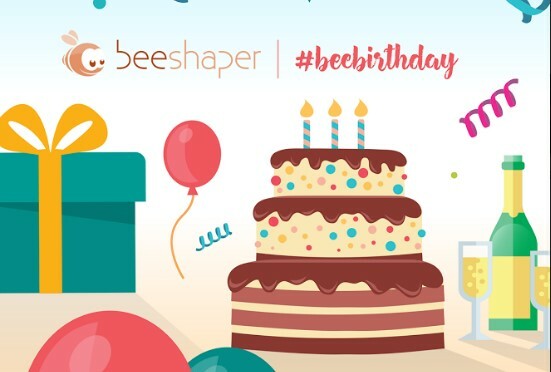 The biggest regional start up – BeeShaper platform is celebrating their third birthday. BeeShaper is the biggest regional company with most accurate base of internet users. BeeShaper is company based on influence marketing and their main goal is to provide client the best promotion as they can get so they can improve their, either sale or visibility on internet. Dragana Djermanovic, co-founder of BeeShaper pointed out that it isn’t very simple to provide good internet campaign on the internet by yourself but at the same time, “mouth to mouth” promotion is still the best marketing tool. According to Djermanovic, successfull companies and agencies recognize the importance of that and that is the number one reason why they give their trust to BeeShaper. “8/10 people decide to buy products or to use some kind of service just because they have read something about that on social network. Marketing from “mouth to mouth” (eWoM) isn’t just another sale tool, it is the real problem solver and way to improve your bussiness and market research confirmed that. Last year we were proud because our service celebrated second birthday and realised 100 successfull campaigns, but this year we have doubled up that number and eWoM strategy became everyday tool for every marketing campaign in the region” said Djermanovic. She also added that BeeShaper is unique because of their base of influencers and bloggers who are reay in every single moment to support campaigns of any brand… More than 20.000 BeeShaper users at this moment can influnce and share the message on more than 11.000.000 different addresses in the region. BeeShaper realised campaigns for brands from different bussiness nitches, from marketing agencies, financial institutions, medias, mobile operators, auto brands but also lifestyle and beauty producsts, educational instituitons and sites. Some of the BeeShaper clients are IKEA, IDEA, Telenor, Atlantic group, Lanaco, Tarkett, Paloma, Opel, Dijamant, HBO Croatia, Cedevita, Nestle but also UniCredit, Raiffeisen, Banca Intesa and many others. Previous articleDejan Savic has now really won everything that exists!